Why is ‘Us’ one of the most gripping psychological thrillers after ‘Get Out’? 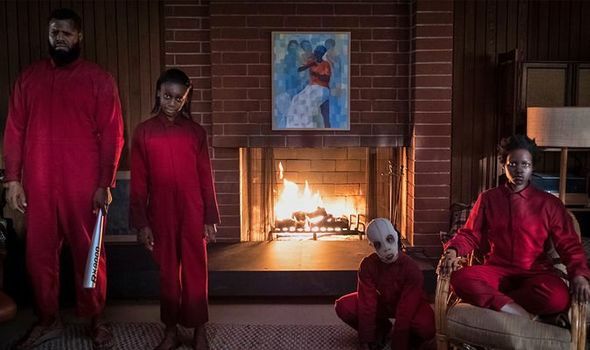 The African-American storytelling has found a stronger pitch after Jordan Peele’s Get Out. His sophomore attempt through ‘Us’ passes the muster and leaves the viewers hooked to their seats. A psychological thriller that explores the mangled identity of the United States in the 80s also touches upon a very important aspect of the duplicitous nature of humankind. The subtle reference made in the movie is enough for the viewers to realize the purpose of the art. 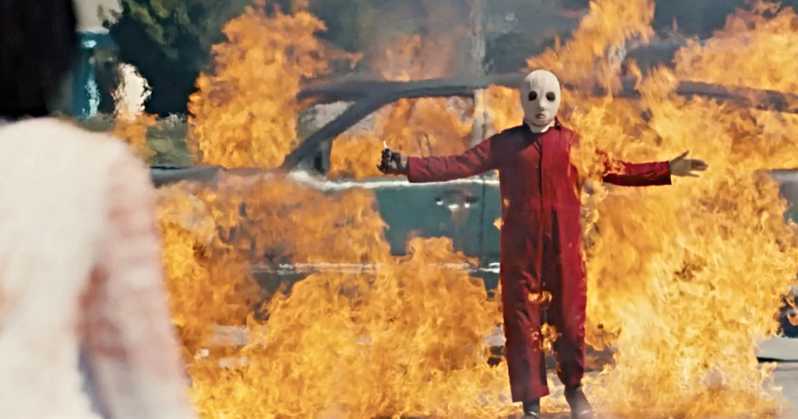 The movie explores one of the less explored settings of horror genre-a carnival. Young Adelaide (Madison Curry) wanders off towards the isolated house of mirrors, aptly titled as ‘Finding Yourself’, and ends up being horrified by her doppelganger. 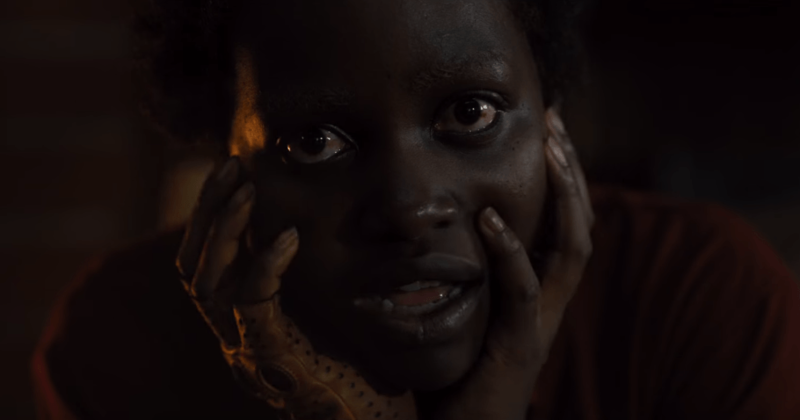 The movie skips over to the present day when a married Adelaide (Lupita Nyong’o) travels with her husband and her two kids to spend the summer at the lake house where she grew up as a child. The sudden shift in the gravity of the plot is felt when Gabe (Adelaide’s husband) suggests spending a day with the Tylers (Kitty and Josh) at Santa Cruz beach. Adelaide is horrified at the suggestion as the traumatic memories from her past come rushing back to her. Several eerie coincidences accompany the sinister circumstance further. The story takes a grim turn when the doppelgangers not only of Adelaide but also of others come to the surface to make their presence known. It is known that the Government began a project of cloning all the citizens of the country so as to give the ‘shadows’ an upper hand over the originals. But unforeseen situations led to the failure of the project and the clones were left in the tunnels under the cities to rot. It is then when Adelaide’s clone meets Adelaide for the first time in the house of mirrors. Each clone is said to be tethered to the original body and it imitates the movements until Red, the leader (Adelaide’s shadow) starts a revolution to de-tether by killing the original with a sharp golden scissor. One night when Adelaide reveals her disquieting past to Gabe, the children warn her of the silhouette of four humans holding hands and standing in their driveway. The human genocide follows next in the movie. However, Adelaide’s family gets lucky quite many times. When the tethered move to a different city, what do the doubles do? How did the clones/ shadows function before the de-tethering? How did they finish their basic chores? How did Jason manage to control his shadow (Pluto)? What is the plan of action of all the shadows? What happens after the human chain is complete? How does the human genocide end? How did the shadows arrange for same uniform and same weapon (the golden scissor)? How did Red get to know that Adelaide was in Santa Cruz and that it was the right time to show at her doorstep? Not forgetting that movies are just for entertainment, it would still have been better if the director had premeditated about these unanswered aspects. Nevertheless, the movie has been well-thought out and uses a generous number of metaphors and frequent symbolism as well. Focusing majorly on the discrimination between America’s privileged and America’s underprivileged sections, this movie displays the fight for the rights in bold strokes. It is revealed in the end that when Adelaide met Red in the House of Mirrors when she was very young, the former was attacked by the latter and taken to the tunnels. Adelaide was chained and not allowed to leave. Red, however took over her place in the real world. In a way, the movie targets the chicanery of the humans. The government believed that they merely created soulless copies of the people above. But Red’s adjustment with her family and her transformation into a nurturing mother proves that each one of us hides a monster within which, when provoked, comes to the surface and unleashes wrath. Adelaide and Red both were victims of their own fates. The one who got the opportunity to live a happier life, used it to the fullest. There is another theory that can be connected with the movie. The Haves and the Havenots fight for control but the ending balances everything out and proclaims that the one who is more prepared and is more confident survives, thereby capitalizing on Darwin’s theory- Survival of the fittest. The best example of this would be the ending when Adelaide (the clone) stabs Red (the real Adelaide), thereby safeguarding her family of originals. On the other hand, inside the closet, Jason and Pluto play a mirror game in which Jason is able to dominate Pluto and make him remove his mask and reveal his misshapen face. Where on one hand Adelaide’s shadow emerges victorious killing the original, the original (Jason) also emerges victorious killing the growling reflection (Pluto). Thus, this proves the point. ‘Us’ unearths some of the bleak truths of life that are often swept under the wraps. With exemplary cinematography and petrifying sequences, the movie does justice to its genre. A little pinch of comedy comes as a relief amidst constant tension. The plot is tight yet leaves behind a series of unnerving questions. Overall, Us gives you everything that you want from a new-age horror film. Gone are the days when ghosts haunted our nights. Welcome to the new world where one is afraid of one’s own shadow, for the chains of virtue keep the devil within us from being found.